In this 2012 Academy Award® Nominee for Best Picture, Break-out star Jennifer Lawrence (HUNGER GAMES) gives an Oscar®-winning performance along-side fellow Oscar® nominees Bradley Cooper, Robert Deniro, and Jacki Weaver. Pat Solatano (Bradley Cooper) has lost everything—his house, his job, and his wife. After eight months in an institution, he lives with his mother (Jacki Weaver) and father (Robert DeNiro), huge Philadelphia Eagles fans. Pat remains positive and plans to reunite with his wife. 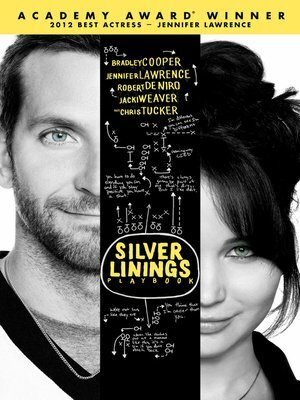 When Pat meets Tiffany (Jennifer Lawrence), a mysterious girl with problems of her own, things get complicated. Tiffany agrees to help Pat reconnect with his wife, but only if he'll return the favor. An unexpected bond begins to form, and silver linings appear in both of their lives. Based on the bestselling novel of the same name and written and directed by Oscar® Nominated David O. Russell (THE FIGHTER).